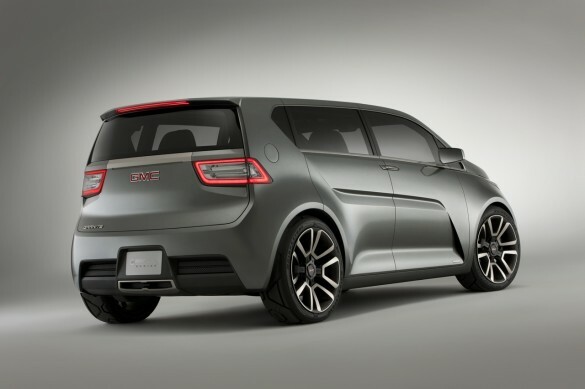 GMC Granit concept. 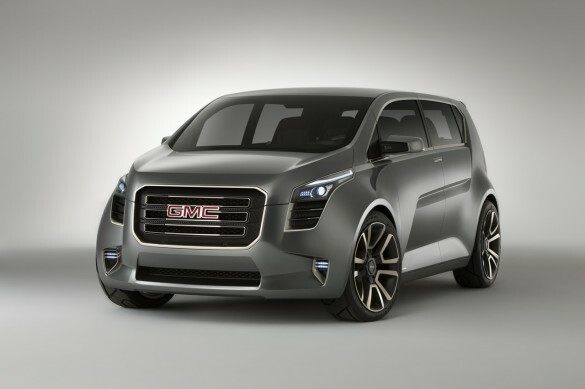 Anybody take a look at the new Granite Concept by GMC. I don’t know what car designers are thinking anymore. Sometimes I wish 2012 would just show up already. This car looks like they took the egg of the Nissan Cube and forced the sperm of the Honda Element for fertilization. Now that I think about it. It sort of looks like the abortion child of the Pontiac Vibe after the Dodge Calibre left because, well, he’s a deadbeat and no one likes him. Sales weren’t too high. The sad reality is that there are more and more cars starting to come out trying to fill some sort of imaginary compact/luxurious/spacious/futuristic void. And there is no need for it. The Granit concept looks like it tried too hard and had a haemorrhage during the second trimester. I don’t know why automotive companies feel they need to go this route. I mean why not take a few steps back. Apply the phoenix mythology to the 60’s and 70’s era of American automotive design. 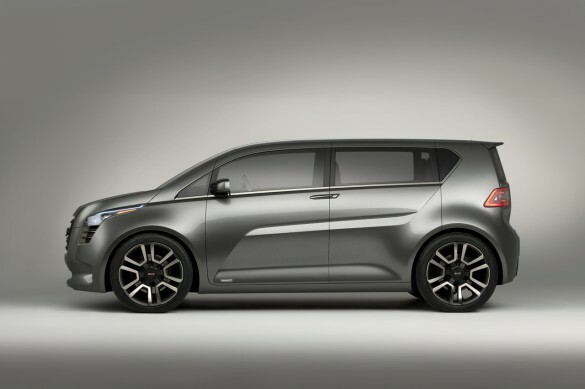 Because this…this just looks like the kind of car you invite to your party because you feel bad. But as ugly as it is on the outside. It’s got a little bit of a “beauty is not skin deep” moniker going on. 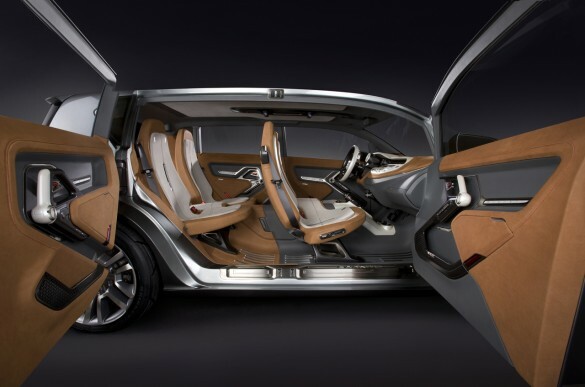 The interior is something crafty and of advanced appeal. It’s got this sort of Feng Shui juju where everything is snowed in sleek. The appearance is very fluid almost water like as if it was all natural instead of the very ordinary lego piece that are in almost all cars. So does a classy unique interior save the car? Sorry GMC. Maybe you should have used some of those bailout funds on creative aspects. Besides i-Robot came out on dvd already. I don’t think it did so good. I would like to thanks for the efforts you have made in writing this article. I am hoping the same high-grade blog post from you in the upcoming as well. In fact your creative writing skill has inspired me to begin my own blog now. Really the blogging is spreading its wings quickly. Your write up is a good model of it. I just couldnt leave your website prior to saying that I actually loved the high quality information you offer for your visitors. Would be back generally to check up on new information in you post! It is rare for me to discover something on the net that is as entertaining and intriguing as what you have got here. Your page is lovely, your graphics are great, and what’s more, you use source that are relevant to what you are talking about. You’re definitely one in a million, man! I want to thnx for the time you have put in composing this article. I am hoping the same best blogpost from you in the upcoming as well. In fact your creative writing abilities has inspired me to get my own blog now. Truly the blogging is spreading its wings quickly. Your write up is a good example of it. I have study a couple of the blogposts on your website today, and I really like your way of blogging. I added it to my favorites internet site list and will be checking back soon. Pls visit my web site also and let me know your opinion. It is very great,very nice.